Ron and Maggie Tear Photography: Cards, Ghent. Photography the world over has it's icons. 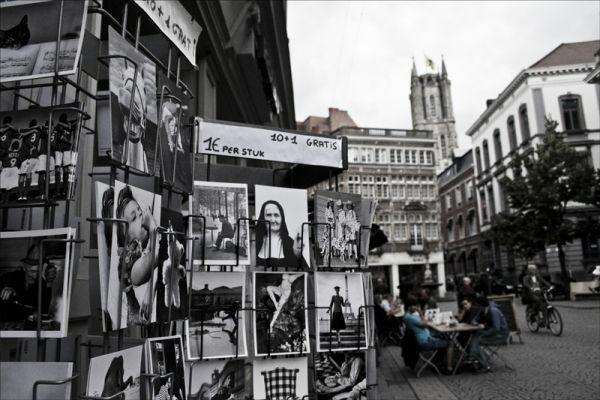 I was attracted to the stand of black and white images with the towers of Ghent in the background. I desaturated the image in line with the cards. Urban magic.